Northeast Kingdom-based Hornbeam take their name from a unique species of tree found only in northern temperate regions of the world. Also known as ironwood, the timber from hornbeam trees is some of the hardest on the planet. The tree is also reputed to have mystical healing powers. 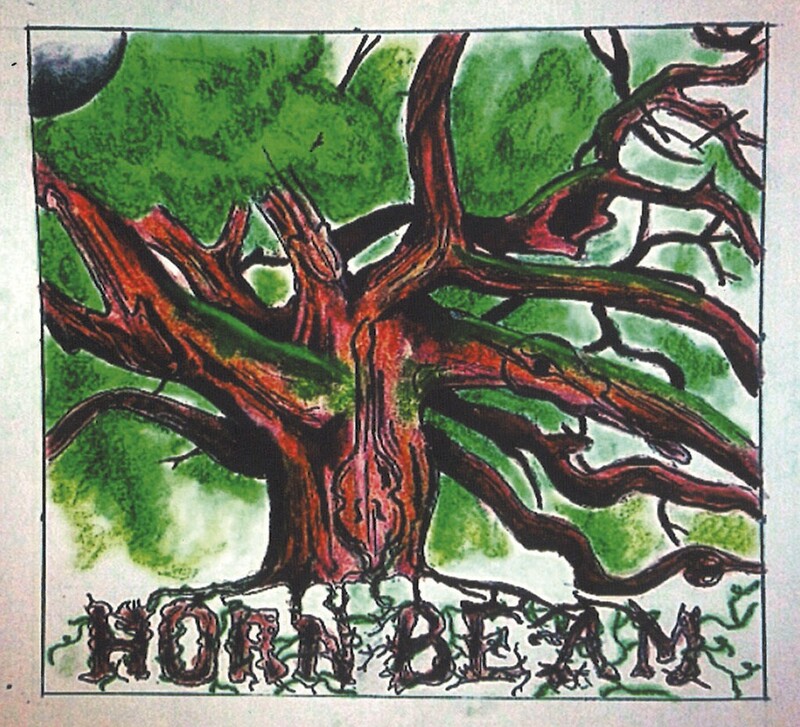 On their recently released, self-titled debut album, Hornbeam the band reveal some similarities to their namesake. The group's twang-tinged take on mid-tempo alt-rock is certainly sturdy. And the record's 13 well-crafted and slickly produced tracks do impart a feel-good attitude that may benefit your mental health. Hornbeam's sunny disposition stems primarily from songwriter, bassist and vocalist Michael Hahn. A local author who has penned five books, he handles about half of the band's songwriting load. Hahn writes with a light, offbeat touch that's matched by his unconventional but buoyant tenor. On album opener "I Feel Alive," he sets an idyllic scene that would be familiar to most North Country folks. "I see bright blue skies, just a few puffy white clouds, sun shining down," he sings, as bright, slinky guitars meander. Then, "Not a care in the world, I got my tunes on, digging the sound." Though he sometimes treads close to pseudo-spiritual platitudes, the boyish innocence in Hahn's tone elevates his writing above wishy-washy mysticism. He's also got a knack for earworm-y melodies that stay with you long after the album's end. The hook on the quirky, melancholy "Freedom Looks Lonely" is particularly sticky. Guitarist Benjamin Farney serves as Hahn's songwriting foil, and his tunes have a tempering effect. Farney both writes and plays with a darker bent, pairing pop-rock inclinations with welcome alt-country grit. The finest example is "As She Walks Away," a moody number that wouldn't feel out of place on an old Cracker record. "Whiskey bottle should have lasted all night / Smoking cigarettes in the morning light / Sweet perfume and long, long hair / As she walks away I stare," sings Farney with the faintest trace of a southern rasp. Rounding out the band are drummer Matt Musty, multi-instrumentalist Aaron Carr and cellist John Pheiffer. Each plays with admirable skill and taste. But Pheiffer takes perhaps the most impressive turn on the record. His sparse, cascading lines on "In Your Eyes" — no relation to the Peter Gabriel tune — transform the song from a fairly generic take on reggae rock into something altogether sweet and moving. It's the most pleasant surprise on a record fairly well packed with them. Hornbeam play the Friday Night Live series at Pavilion Park in Island Pond on Friday, August 14. Hornbeam is available at iTunes.